"Phase 1 of the PDF Pilot, copies of our digitised records, went live on 9 November and was completed with very high customer demand and, unexpectedly, no reduction in certificate orders. As a trial service it provided valuable insight in to the operation of the service, which we need to take into consideration in the remaining 2 pilot phases (the premium PDF service and PDFs of our non-digitised records). "Consequently, taking in to account the festive period, pilot phases 2 and 3 will now not commence until early 2017." A workshop is to be held in London on 6th January to discuss the preparations for phase 2. I won't be attending as it is clearly aimed at commercial organisations - I can't imagine many family historians paying several times the usual price for a 3 hour service, can you? Nevertheless it seems that the GRO are pleased with the results of the phase 1, and reading between the lines there seems to be a good chance that they will reintroduce this service on a permanent basis at some point during 2017. You can save as much as £28 when you take advantage of Findmypast's seasonal offer of a 10% discount on 12 month subscriptions and claim a free 12 month LostCousins subscription (as my 'thank you' for using the link in this newsletter). The bad news is that you've only got 5 days to act - the offer ends at midnight (London time) on Friday 30th December. This offer applies to 12 month World subscriptions at all four of Findmypast's sites (they're called Premium at Findmypast.com) and also to 12 month Britain subscriptions, which are only available through the UK site (Findmypast.co.uk). Whilst the Findmypast offer is available elsewhere, you can only qualify for a free LostCousins subscription when you use the links above. To claim your LostCousins subscription (which will run from the date of purchase of your Findmypast subscription, unless you already have a LostCousins subscription, in which case it will be extended by a year), please forward to me the email receipt that you receive from Findmypast, bearing in mind that I need to know the precise time of your purchase (so write it down, just in case the receipt doesn't arrive). Terms & conditions: your free LostCousins subscription will be funded by the commission that Findmypast pay us; if we don't receive any commission on your purchase then unfortunately you won't qualify. If you use an adblocker the link may not work; if you have disabled tracking in your browser the link will work, but Findmypast won't know that you clicked it, so won't pay us any commission. Commission isn't paid on renewals or purchases that Findmypast regard as renewals, eg when a subscription has recently lapsed. In the next article I explain how to get the most out of your Findmypast subscription…. I'm frequently contacted by readers who don't get the same excellent results as me when they search at Findmypast - so as my Christmas gift to you, I'm going to tell you how I transform their searches…. The first thing you need to appreciate is that there are two ways of searching. 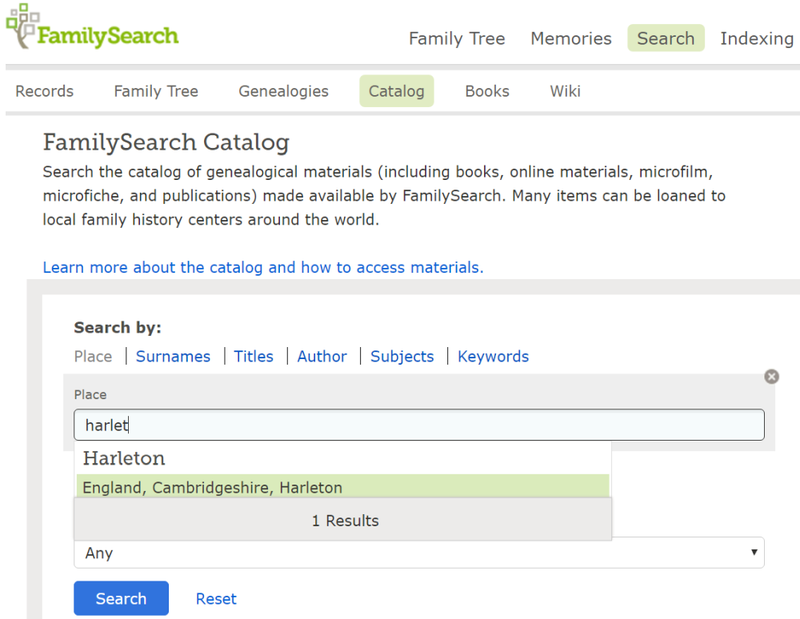 One is to enter lots of data on the Search form in the hope that some of it might lead to the record you're looking for - this type of search works best at Ancestry, where it typically produces lots of results (though most of them won't be relevant). 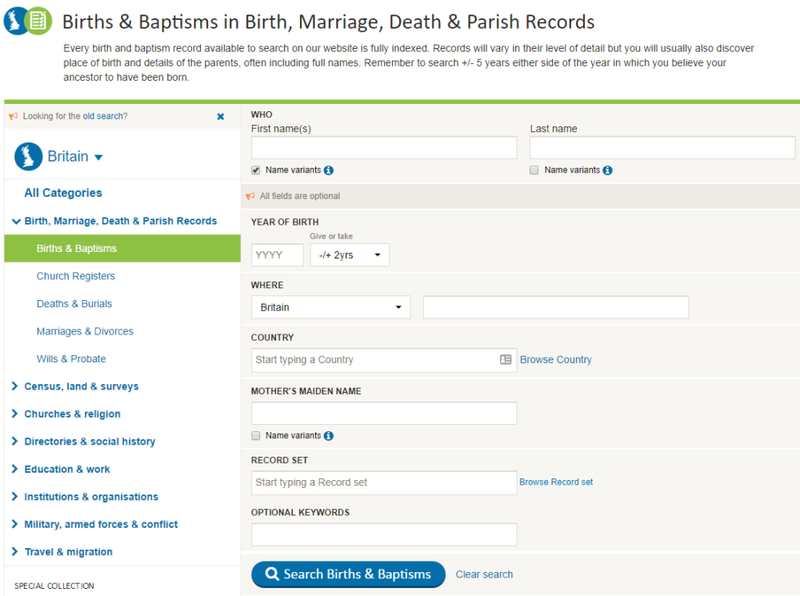 Although searching individual record sets is almost always the best way to go, there will be occasions when you want to search all of Findmypast's baptism records - perhaps because you don't know where your ancestor was born. There's no opportunity to enter the forenames of the parents - and whilst you won't always know what they were, when you do know one or the other (or even both) it's frustrating not to be able to home in on the records most likely to be of interest, especially if the surname is a common one. This produces 798 results (I could have reduced the number by specifying a range of dates, eg 1820 +/- 10 years, but as this is just an example I've kept the search as simple as possible). Originally there were 798 results - now there are just 7, all of which have the right parents' names. Don't believe it works? Click this link and see it in action - you don't need a Findmypast subscription to try it out. You can even edit the URL to carry out a search of your own. Most URLs are too long to fit on the screen, so you will usually need to scroll right to find the end. And, of course, you'll need to edit the examples in this article to reflect the names you're searching for. So far I've only used this technique with baptisms, but the more adventurous amongst you might find similar applications with other searches. Tip: when you edit the URL in this way you can't click the Search button - instead you have to position the cursor on the URL (it can be anywhere on the line), and hit the Return key. If editing the URL seems too complicated you can sometimes get the same results using the Keywords field - this is the method I used to use. But it won't work very well if the child has the same name as one of the parents, or if one of the names is abbreviated or spelled differently, or if one of the parents' names is a Saint's name which appears in the name of the church. Every direct ancestor or blood relative you enter on your My Ancestors page between 16th December 2016 and midnight (London time) on Tuesday 31st January 2017 represents an entry in the competition, and for everyone you enter from the 1881 Census you'll get a bonus entry. Shortly after the competition closes I'll start picking relatives at random from all those entered during the period of the competition, and the lucky members who entered those relatives will be able to choose a prize from the list below (the first person out of the hat gets to choose first, the second person has next choice, and so on). With a World subscription you can access any of Findmypast's historic records and newspaper articles, as well as their modern (2002-14) UK Electoral Register - and you can do this at any of Findmypast's four sites around the globe. If the winner lives outside the UK the prize will be a downloaded copy; winners in the UK can choose between a downloaded copy and a boxed copy (they function identically). Check out Family Historian now with a free 30-day trial - just follow this link. You can also win 900 Findmypast credits (usual cost £54.95), sufficient to unlock 15 households from the 1939 Register (although you can also use them to access other records). Even if you don't win one of these prizes there's a far greater reward at stake, and it's one that everyone can win - you could find a 'lost cousin'. Every single relative you enter is a potential link to another researcher who shares your ancestry - and whenever you click the Search button the LostCousins computer will compare every single entry you've made against the millions of entries made by other members! 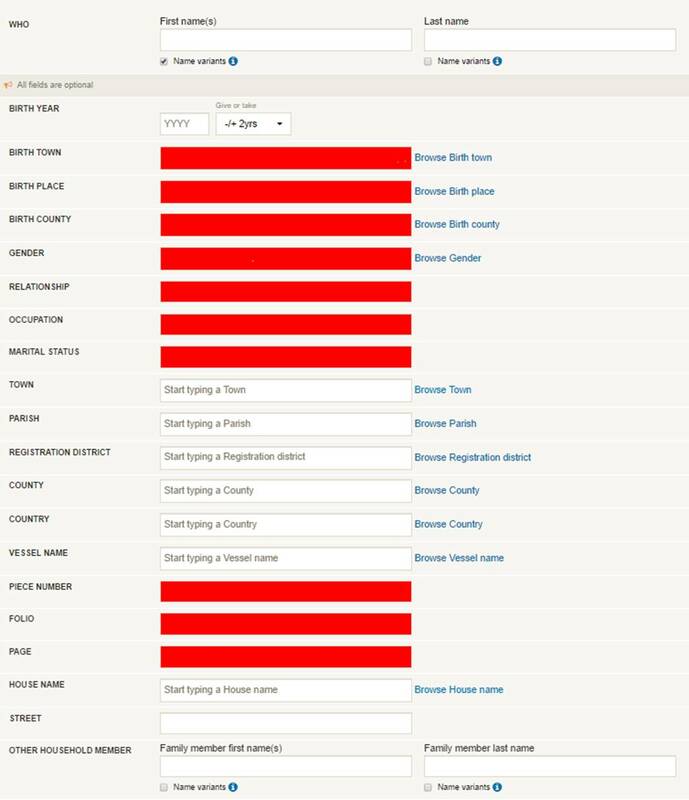 Tip: unlike some websites, which update their databases at intervals, the LostCousins database is updated instantly - there is no waiting, whether you're entering a new relative or updating an existing entry. This year your chances are better than ever before - for example, when you enter a household from the 1881 England & Wales census there's 1 chance in 17 of an immediate match! If you're new to LostCousins, or have forgotten how easy it is to enter relatives, see the Getting Started Guide on the Help & Advice page. 2016 is the year that the possibilities of DNA testing became impossible for any family historian to ignore, as the number of researchers who had tested exceeded the number of subscribers to Ancestry, the biggest genealogy site in the world. But it was also the year in which a new British company, Somerset-based Living DNA, launched the most innovative DNA test to date. Until January 15th you can save 10% on their new high-resolution DNA tests, which offer a real opportunity to identify where in Britain your ancestors came from. You can find out more (and support LostCousins) when you follow this link. Use the voucher code XMAS16 to claim your discount. Christmas is a time when families tend to cluster around the TV, so I was fascinated to discover this week that it was 90 years ago that John Logie Baird demonstrated his 'televisor' to a group of 50 scientists in London. You can read more about this story in this BBC News article. 104 year-old Andy Andrews was a 14 year-old apprentice when he went to work for Baird - and attended that momentous demonstration. Sadly Mr Andrews passed away on Monday - but you can hear him reminiscing if you follow this link to YouTube. Interestingly the last words from Mr Andrews on the film are "We can't look back, can we? We have got to go forward, all the time." Hearing that, I thought "No, family historians can do both - and that's what I like about our wonderful hobby!" Fifteen years ago my wife and I were travelling to Heathrow Airport on our way to the US. We arrived at the station in our village in time for the train to London, only to discover that it had arrived early and left ahead of schedule - as a result of which we were in serious danger of missing our flight. I ran across to the ticket office to explain what had happened, and the gentleman there said he'd see what he could do: a few minutes later the Stansted Express made an unscheduled stop, just to pick us up - we were so relieved! I was reminded of this experience when I came across this wonderful story published on Christmas Eve 2010 on the BBC News website - it just goes to show that in our materialistic society there are still people who will go out of their way to make the world a better place. There's good news and bad news this Christmas for anyone who has ancestors from Cambridgeshire. The good news is that FamilySearch have made available online nearly 62,000 pages from Bishop's Transcripts for the county, covering the period 1599-1860 (or later). The bad news is that only a very small number of the entries have been indexed so far, all from the period 1813-60 - to search the transcriptions follow this link. To view the images you need to register with FamilySearch (it's free), then log-in: you'll find the images here. Unfortunately the films are identified only by number, not by content - and the numbers don't correspond to the film numbers given when you search the FamilySearch Catalog. I eventually found a way of getting to the right film - it may not be the best way, but it works! There's may be more than one parish on a single microfilm, so don't worry if the first page you look at it relates to a different parish. If you choose the Browse multiple images option it will be easy to spot where one parish ends and the next begins. 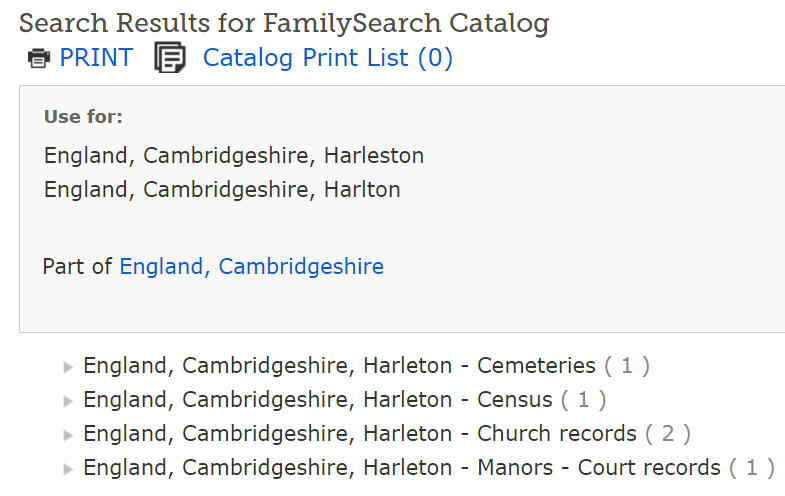 Tip: this technique for accessing the Cambridgeshire BTs also works for Sussex parish registers, which are still hidden on the FamilySearch site (as I exclusively revealed in February - you can read my original article here). You can save 20% on a 12 month Personal Use or Gift subscription until midnight (London time) on Wednesday 28th December. 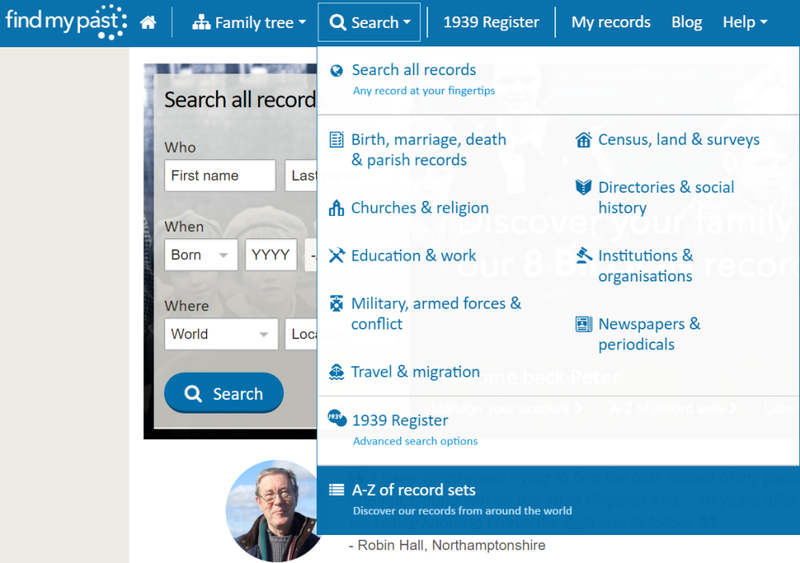 For most family historians a Findmypast Britain subscription will be a better bet - since it includes the British newspapers from the archive (the Irish newspapers are included in the World subscription) - but the more powerful search that the BNA offer will be of interest to some. To take advantage of the offer - and support LostCousins - follow this link and enter the Promo code XMAS16. You've got until 31st December to grab the cheapest autosomal DNA test on the market! Although Family Tree DNA are based in the US they will ship worldwide for just $12.95, so if you buy a Family Finder (autosomal) test at the offer price of $59 the total you'll pay is $71.95 - which for those of us in the UK works out at almost exactly £60, once you allow for the extra 2-3% that your bank will add (that's a saving of almost 40% compared to Ancestry's regular price of £79 plus £20 shipping). There are even bigger discounts when you take a Y-DNA test (males only) and a Family Finder test - but bear in mind that a Y-DNA test can only tell you about a single line (the surname line), though by asking cousins to test you can find out about other lines (their surname lines). You can find out about all the offers and support LostCousins by using this link (please remember to click it immediately before you place your order). Until January 3rd readers in the UK can buy Kindle versions of the first four books in Steve Robinson's Jefferson Tayte series of genealogical mysteries from Amazon.co.uk for the bargain price of 99p each; at Amazon.com they're $1.23, an equally attractive price. Without a doubt the call-blocking BT8500 and BT8600 series phones are the most popular of all the gadgets I've written about - they literally change our lives, freeing us from the tyranny of the phone by intercepting unwanted callers. But not only do they work for us - installing them at the homes of our elderly relatives can prevent them being pestered, and possibly persuaded, by the scammers that prey on the vulnerable. Although they're sold by BT and are BT-branded they work with other phone companies (for example, I'm currently with Sky), but you do need Caller ID to make the most of them (this is often free). All of these phones include a digital answering machine, and if you're travelling you can pick up your messages from anywhere in the world. My phone paid for itself by allowing me to cancel the 1571 service that I'd been using, but it was the hour a week in saved in unwanted calls - and unwarranted stress - that really mattered. Looking through this year's newsletters the genealogy tips that stand out include my exclusive revelation in April that you could look at some of Ancestry's records without a subscription (this loophole was soon plugged, unfortunately), and my exclusive disclosure in February that the Sussex parish registers were hidden on the FamilySearch website (still the case). Many LostCousins members found the DNA Special Newsletter in July incredibly helpful (you'll find it here) but, for most of you, the insight I was able to give into the new GRO online birth and death indexes was probably the most important contribution I made to your research. Undoubtedly these enhanced indexes will continue to deliver discoveries for years to come, as we follow up the twigs and branches on our family trees. It can be hard slog putting together these newsletters, but it's made easier by the encouragement I get from readers like you - and the amusement that come from some of the stories and articles that I feature. After viewing this propaganda film from WW2 it was weeks before I could get the tune out of my head! What was your highlight from my 2016 newsletters? In the next issue I'll include some of your suggestions along with the rest of my own personal favourites. That's all for now - but I'll be back around New Year with yet more news from the world of family history.